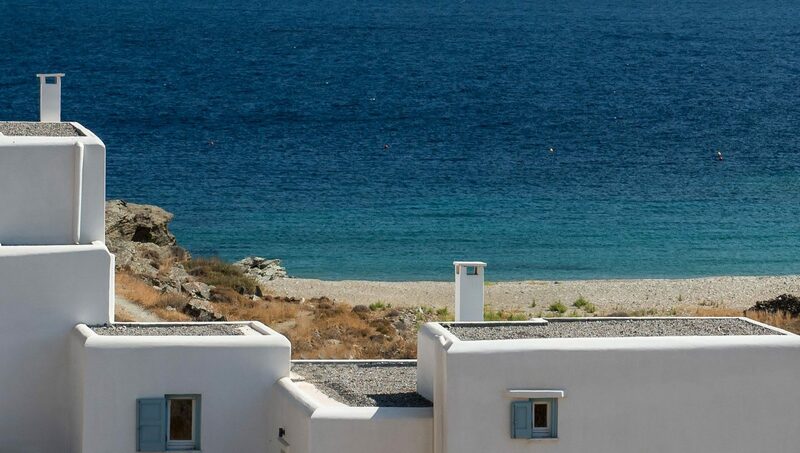 In a 40m walking distance to the shore, this Elegant Villa (131-137 sq.m.) 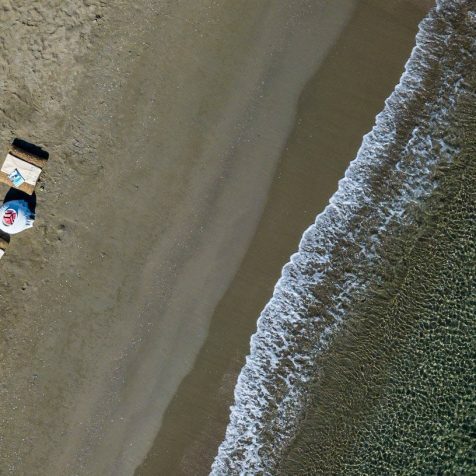 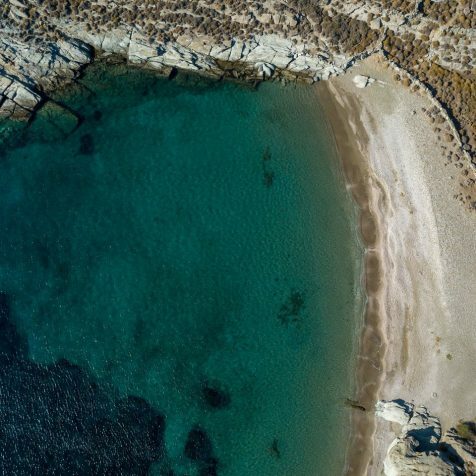 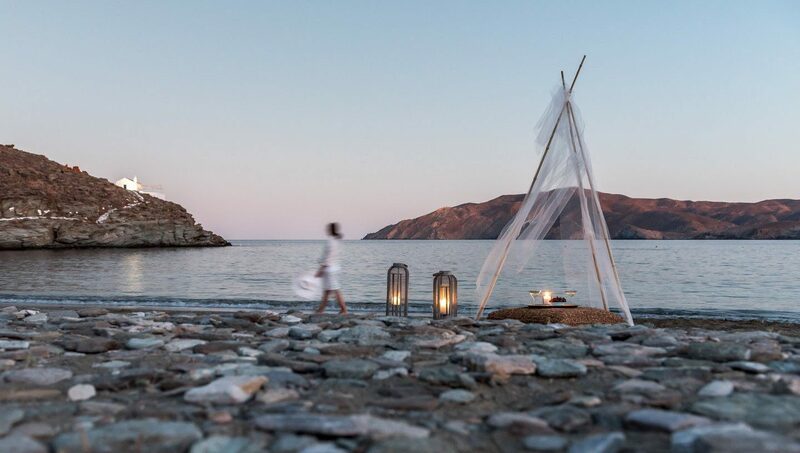 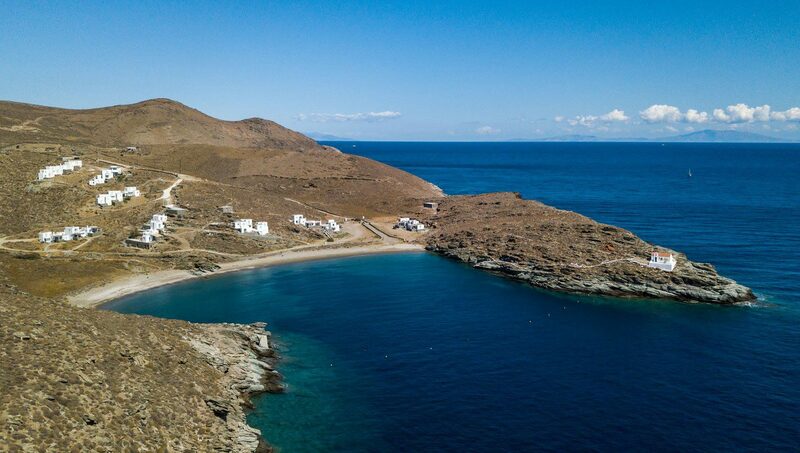 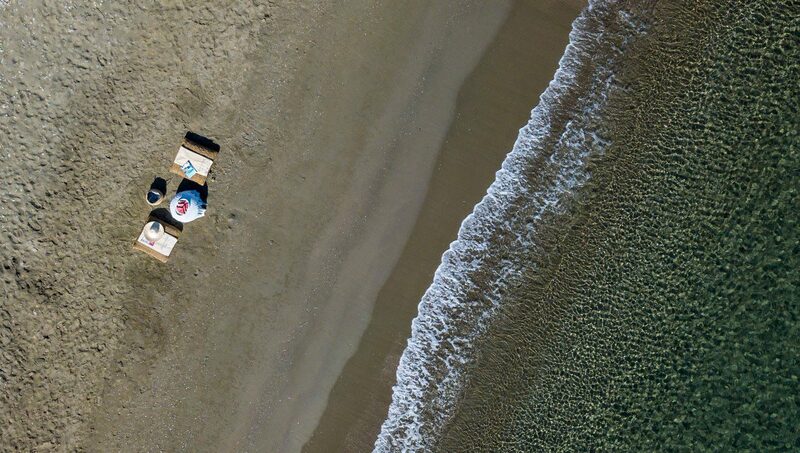 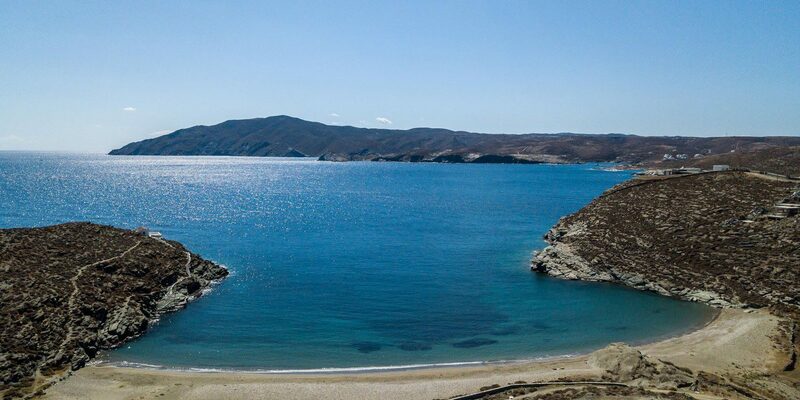 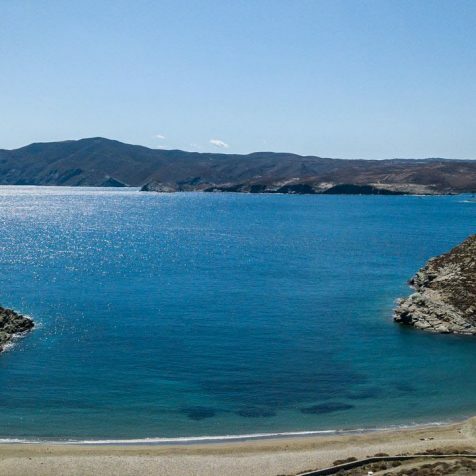 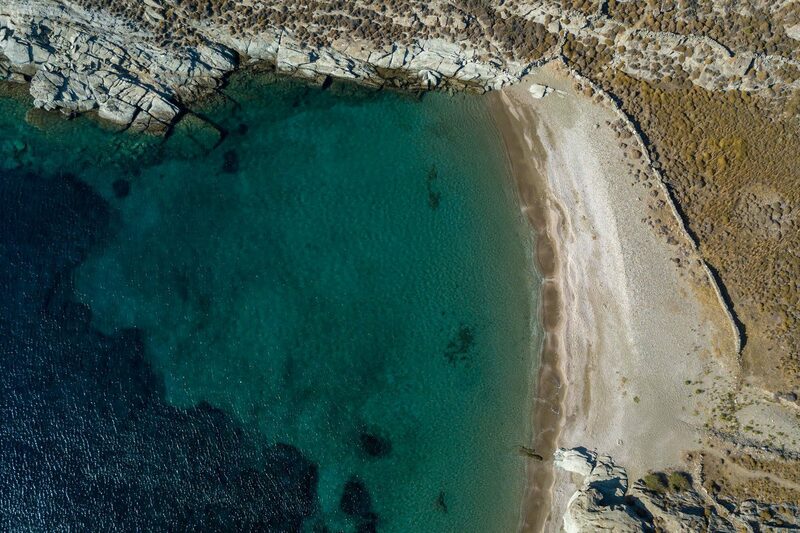 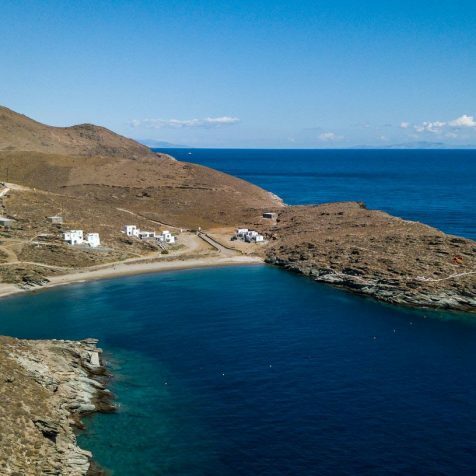 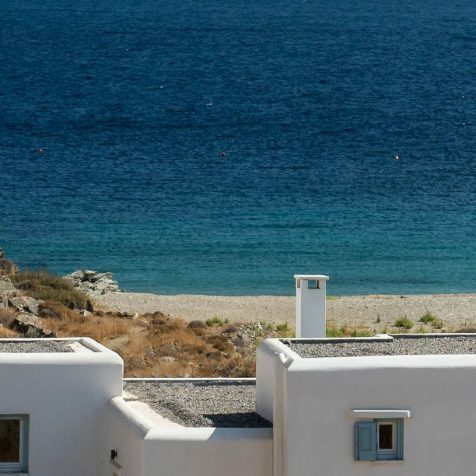 provides a unique relation with the natural environment of Agios Sostis bay. 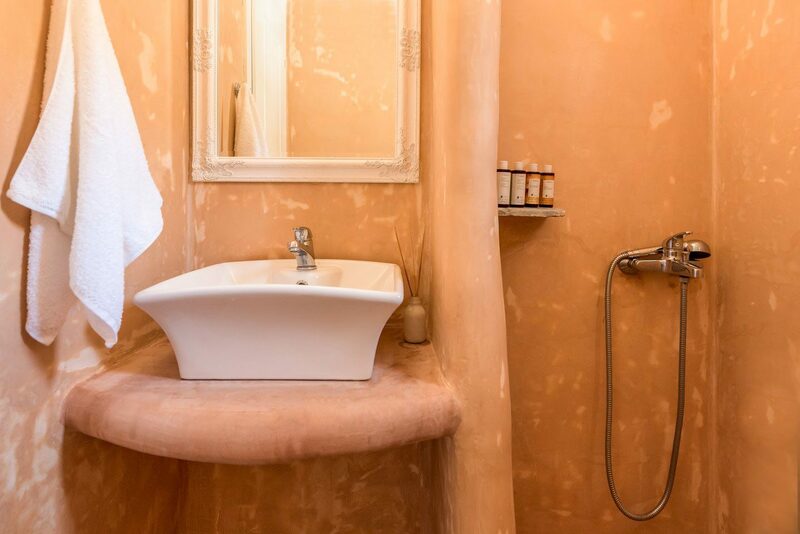 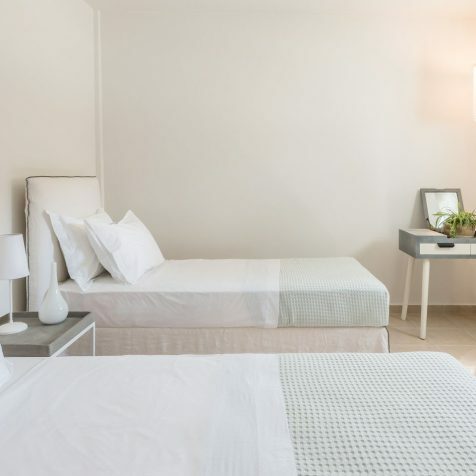 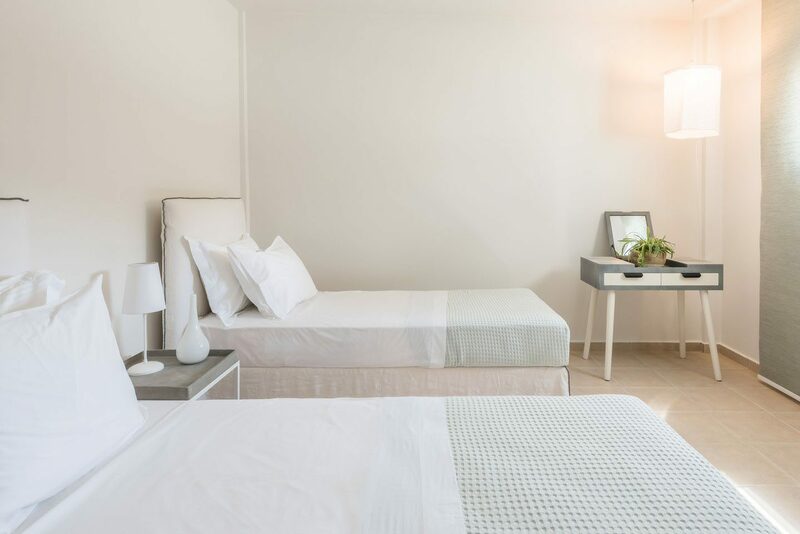 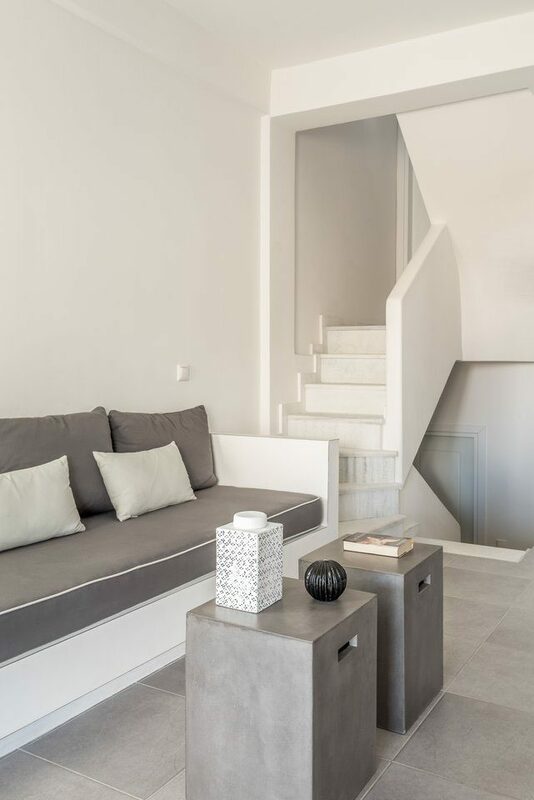 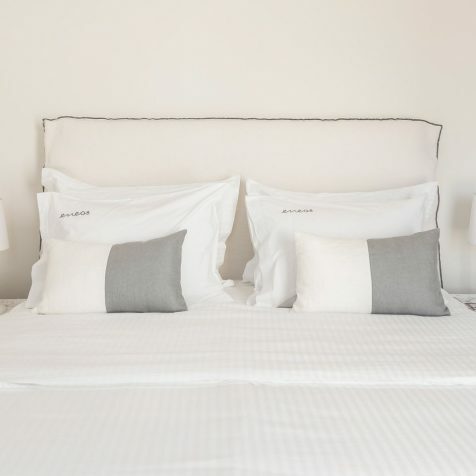 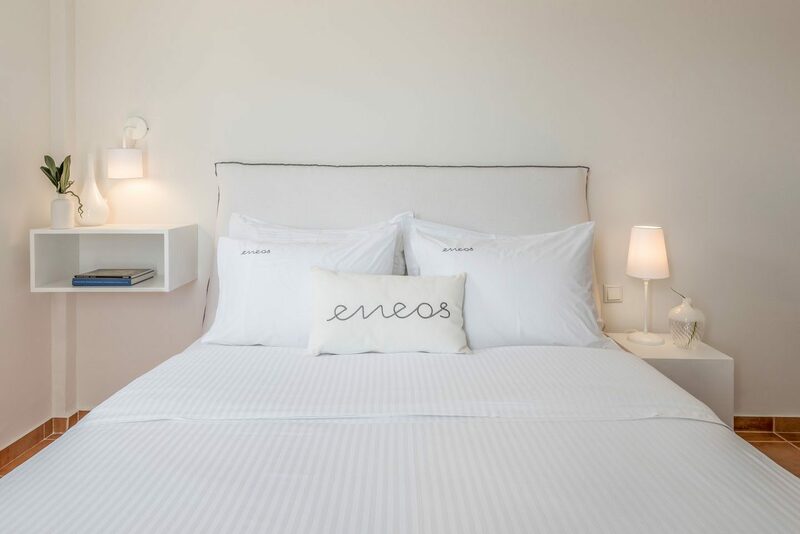 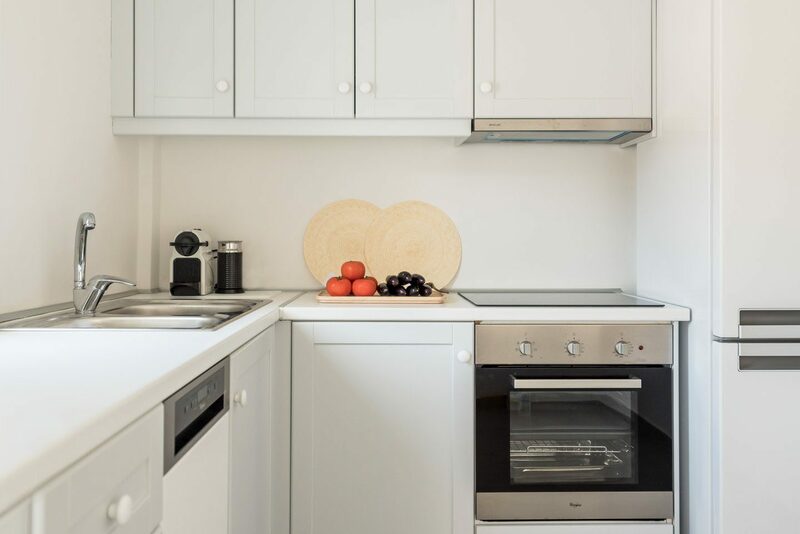 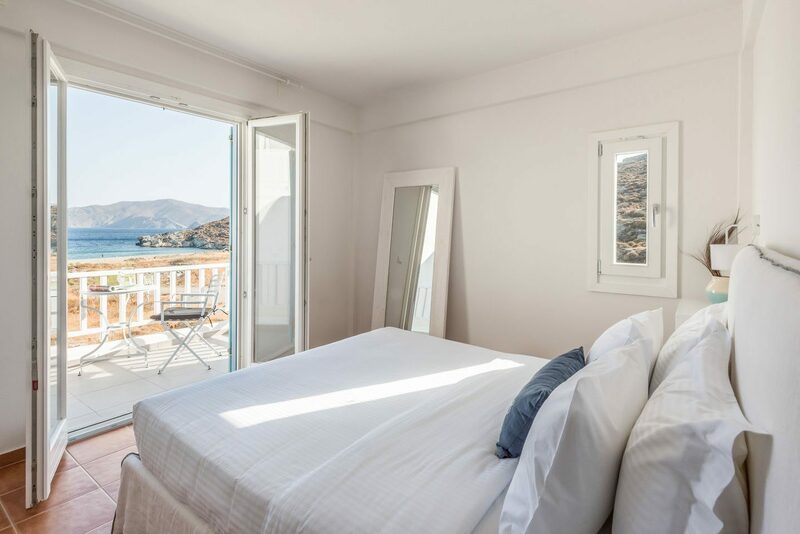 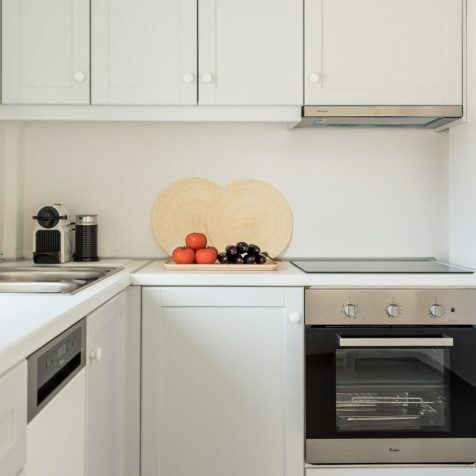 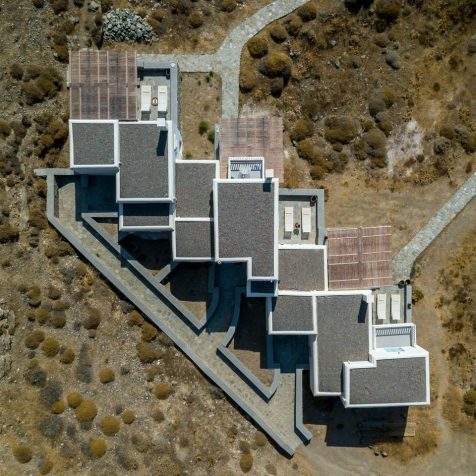 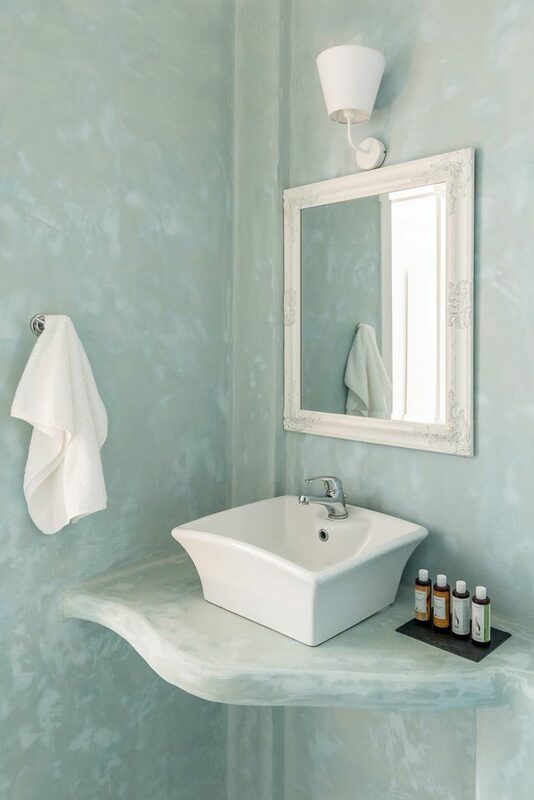 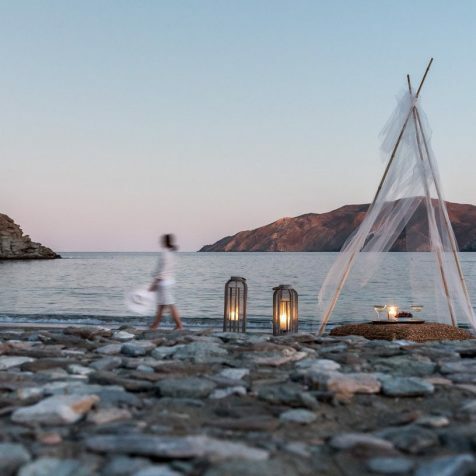 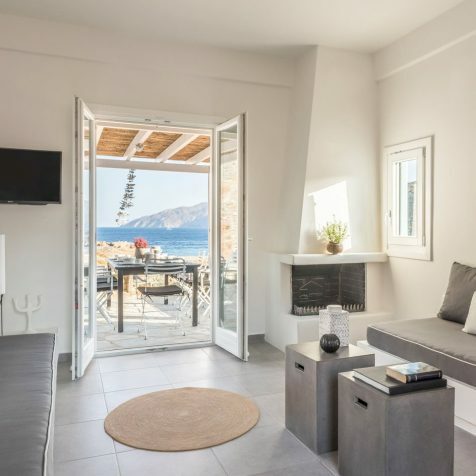 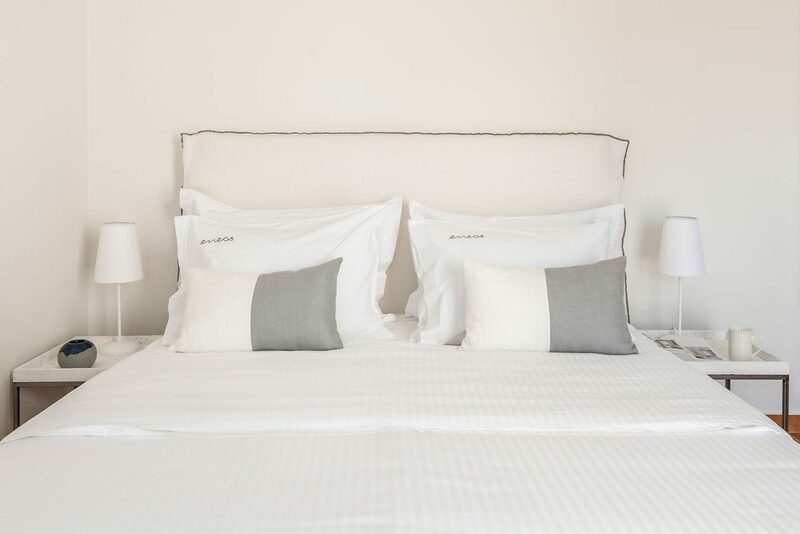 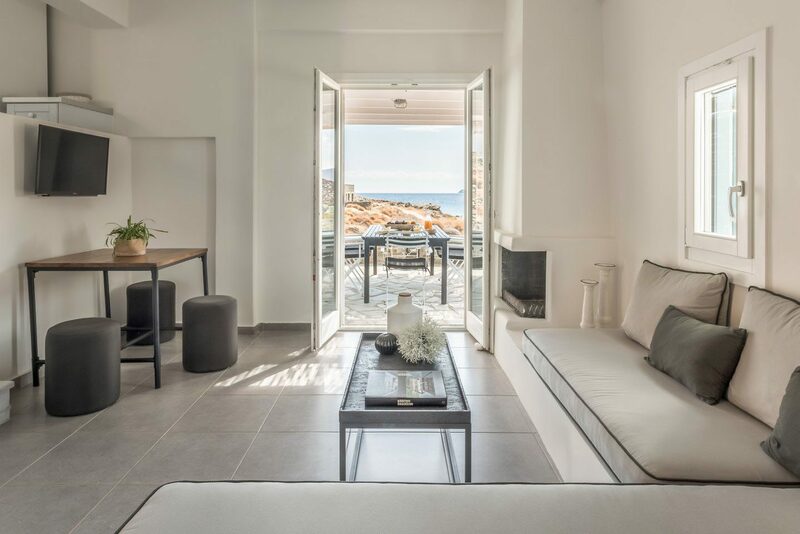 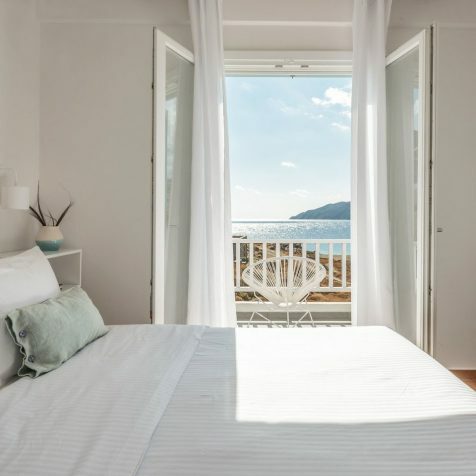 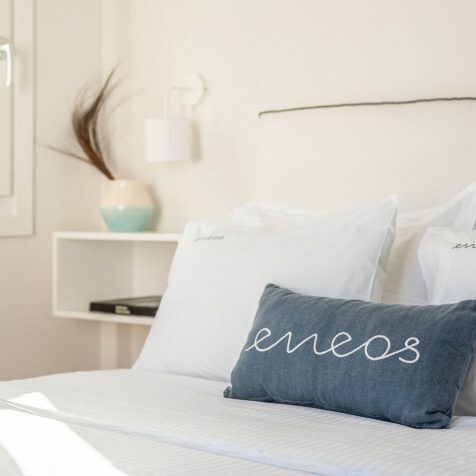 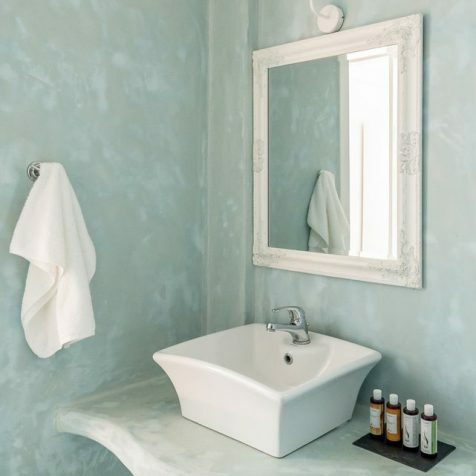 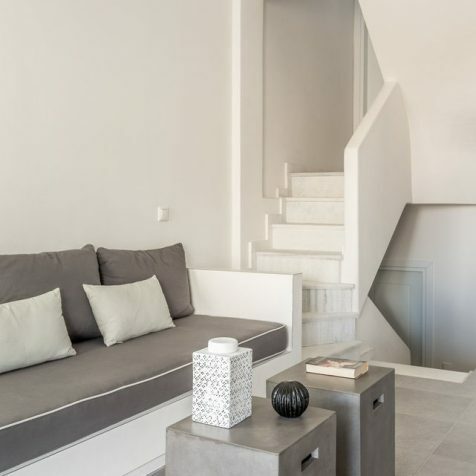 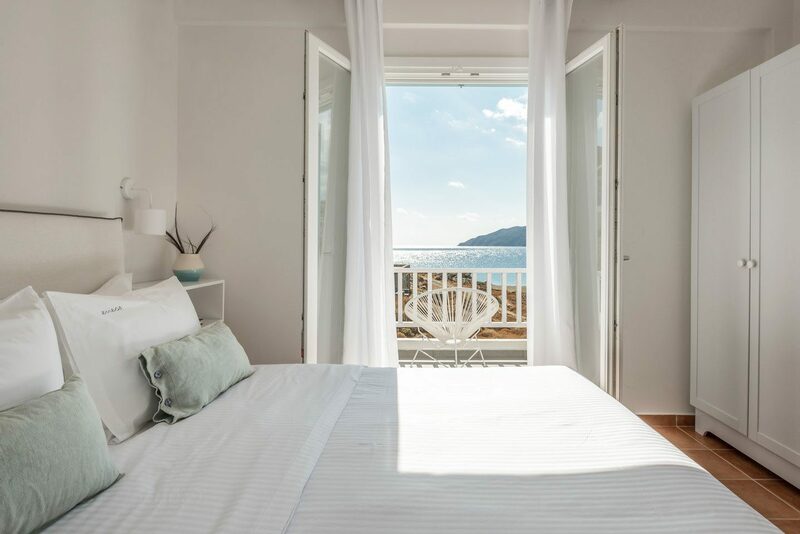 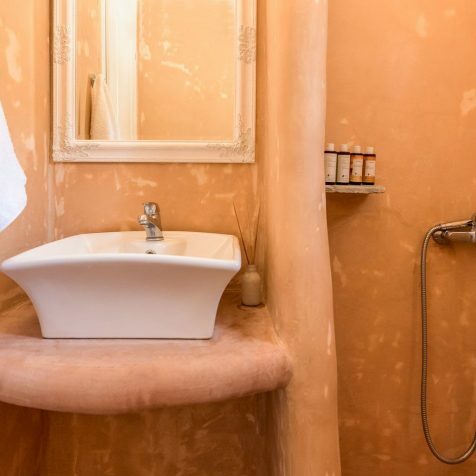 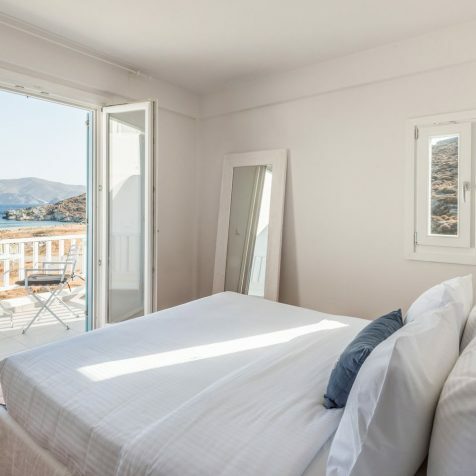 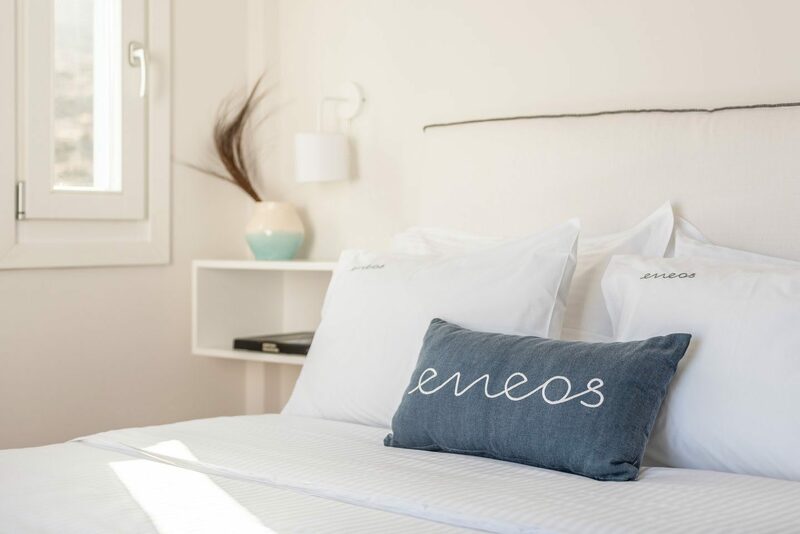 Fully equipped with state of the art appliances and designed through the principles of the traditional Cycladic architecture, it develops the space in different levels in a way to ensure functionality and maximize privacy. 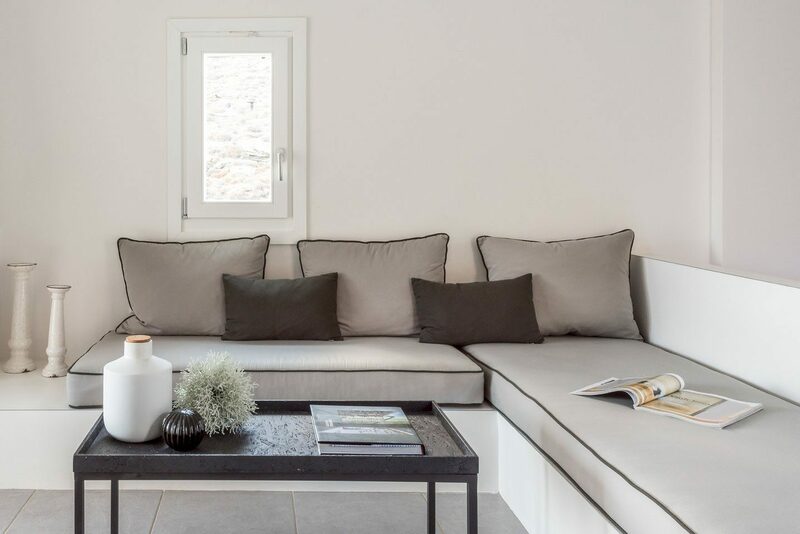 The spacious terraces and the independent exterior area allow relaxation and wellbeing. 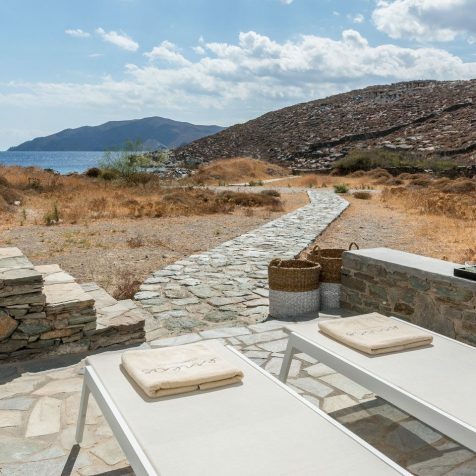 This villa is suitable for a family or groups of friends. 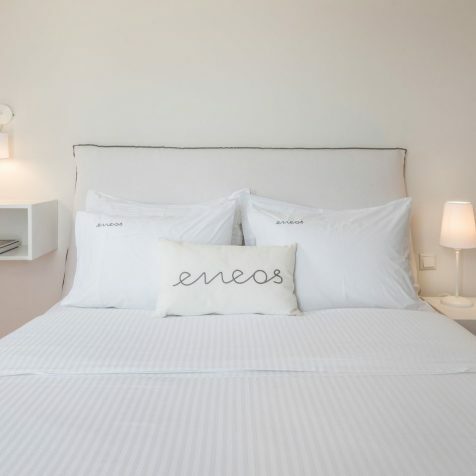 It provides three bedrooms with a double/king size bed and two bathrooms for individual use. 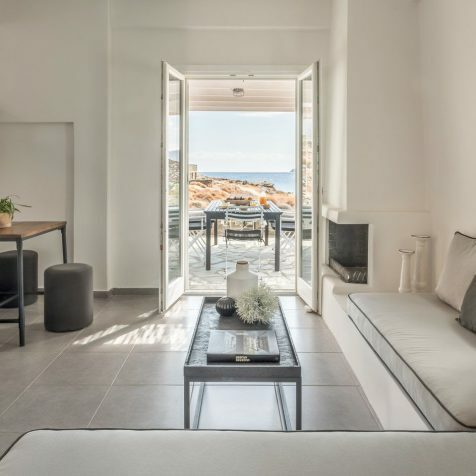 It also includes an extended living room with an open kitchen. 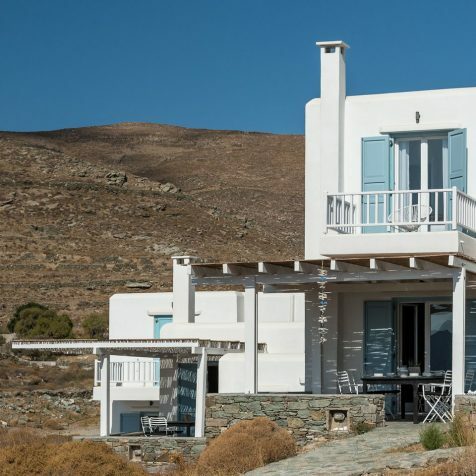 The three bedroom villa accommodates 6-7 guests. 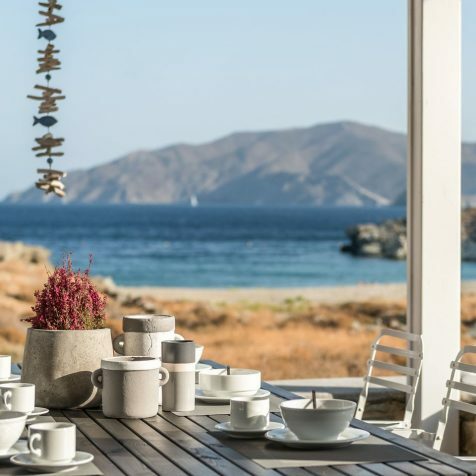 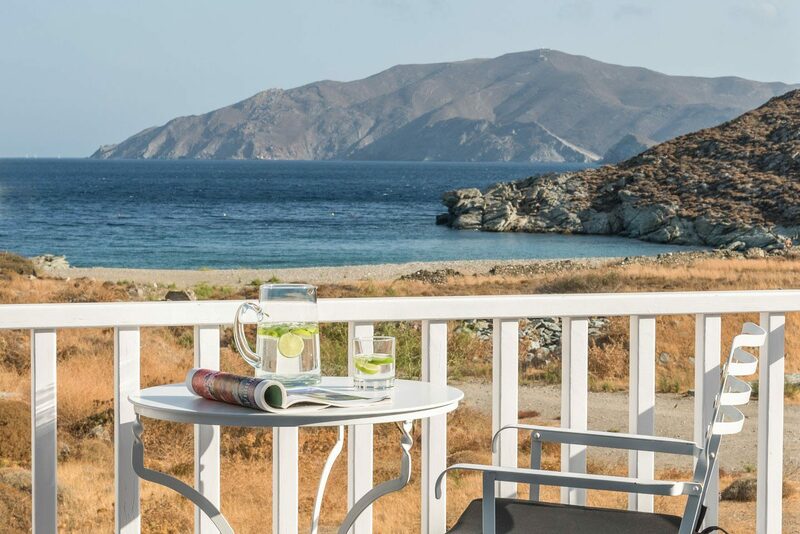 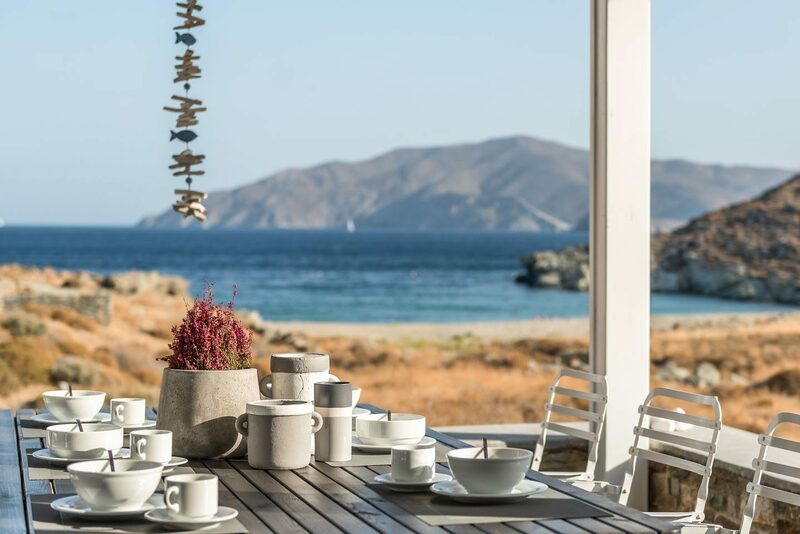 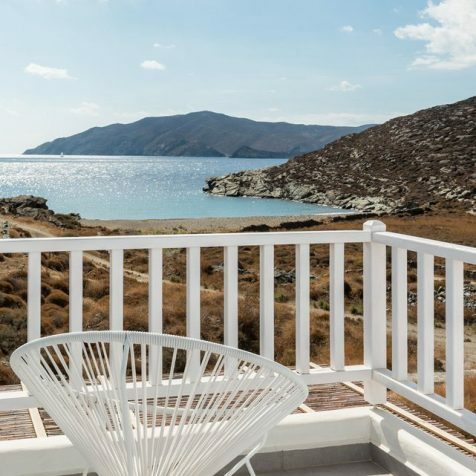 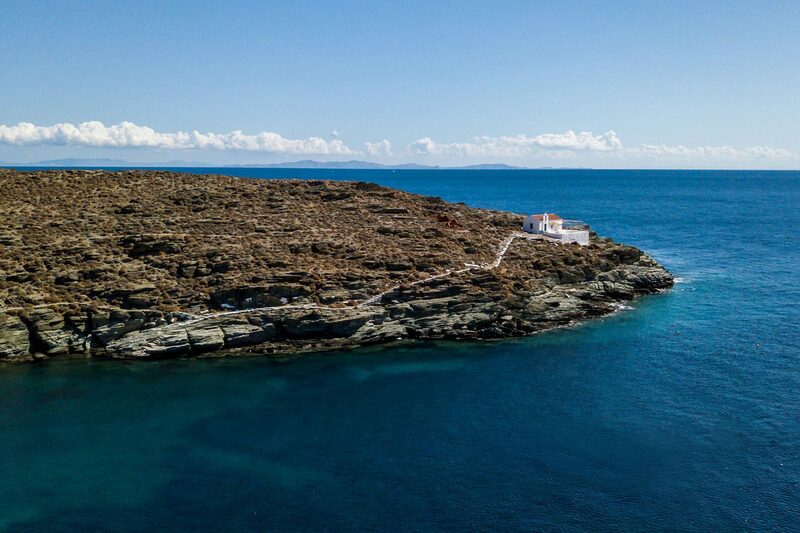 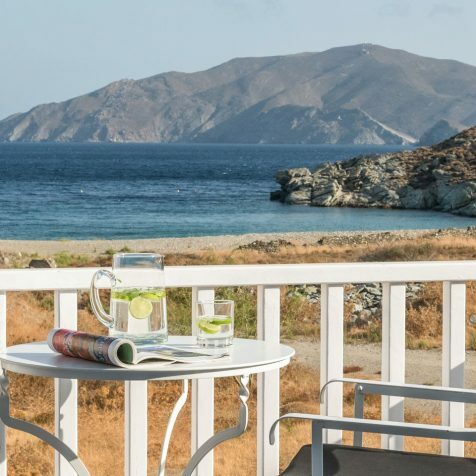 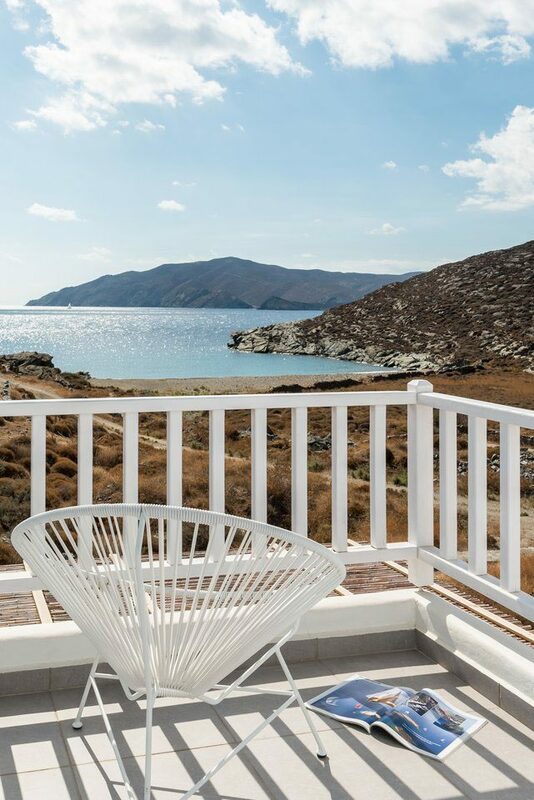 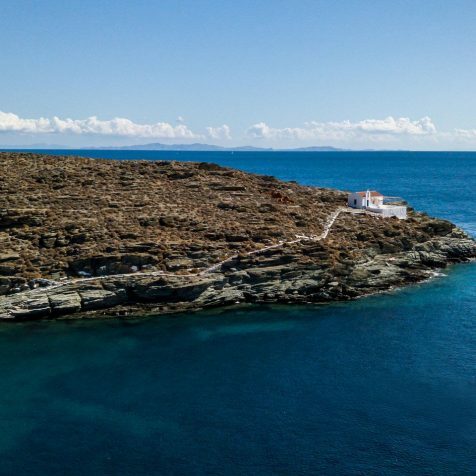 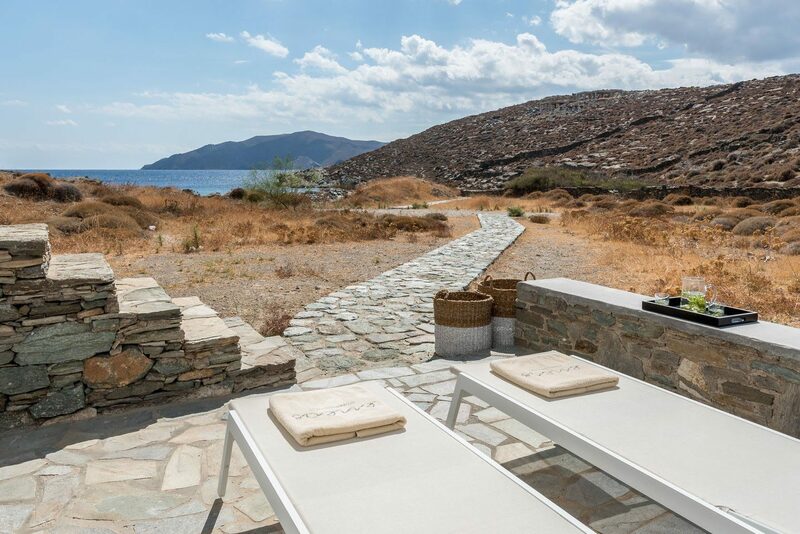 The spacious private terraces allow you to enjoy Agios Sostis all day and night long. 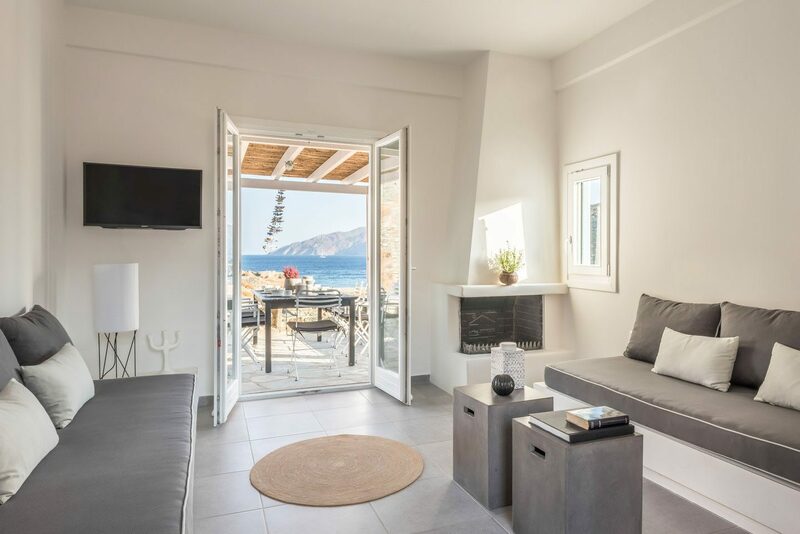 > Open plan living room with 32″ smart TV, a sofa bed and open fully equipped kitchen with access in spacious sea view terrace with shaded open-air area dining area.